The professional UK Crisp Market is getting crowded with more new players in the Champions League. 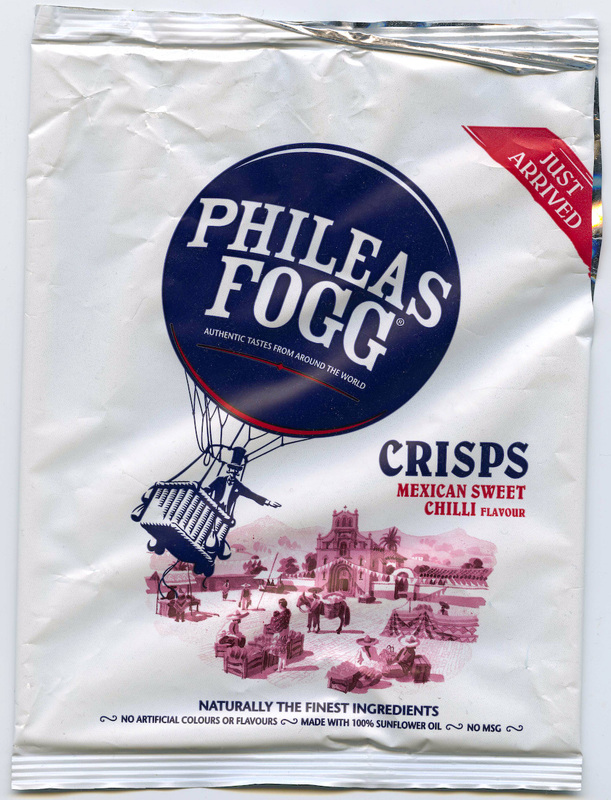 Enter Phileas Fogg, whom we’ve seen already going round the world in 80 days. 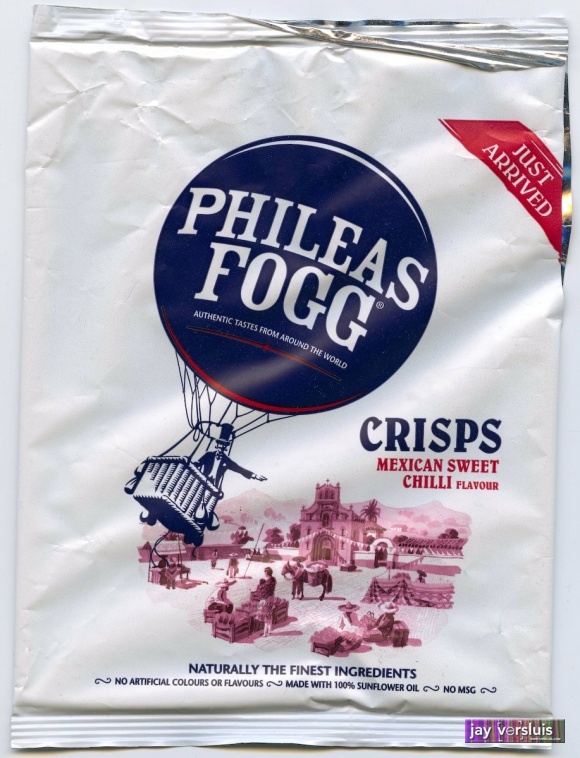 Very nice crisps with creatively named flavours, these little greasballs are made by United Biscuits Ltd and give you a little world map on the bag of what other flavours you can get. 38g in the bag, and a website at www.phileasfogg.com.